'Tis the season for cookies, cakes, candies and more! Those delectable treats are an iconic part of celebrations big and small. 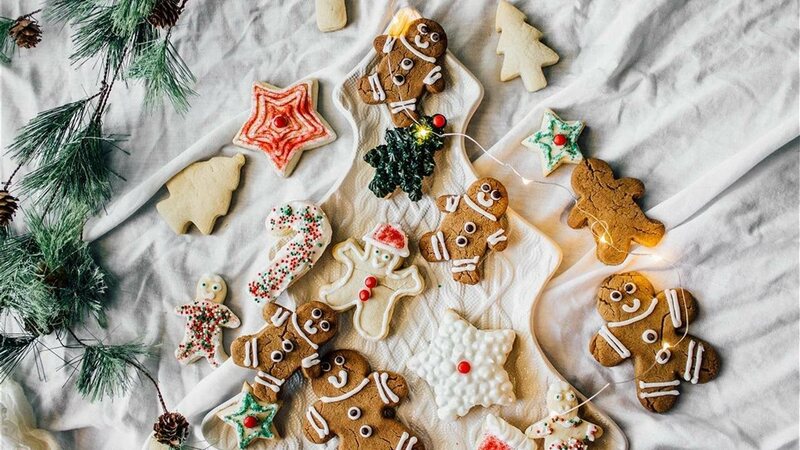 Whether you want to cozy up by the fire with your favorite confection or bring a few batches to the school bake sale, you're bound to be baking like crazy this time of year. "Fresh ingredients are the key to superior baking and eggs are the perfect example," says Blatner. She recommends Eggland’s Best eggs because they are the only eggs that have double the omega-3s compared to ordinary eggs. Omega-3s are classified as “essential” fatty acids because they are important for maintaining good health and the body cannot make them on its own. Omega-3s also enhance baking as they improve emulsifying qualities. High-quality eggs: Eggland’s Best eggs have double the Omega-3s compared to ordinary eggs, which are healthier for recipes and enhance emulsifying qualities during baking. Plus, they have 25 percent less saturated fat, six times more vitamin D, 10 times more vitamin E and more than double the vitamin B12, so you’ll improve the nutritional profile overall. Dark chocolate: Skip milk or white chocolate and use dark chocolate, which is lower in sugar content and contains important antioxidants that are good for your heart. Whole-wheat flour: Whole-wheat flour options boost fiber. For cookies with a more delicate texture, consider using a finely milled whole-wheat pastry flour.